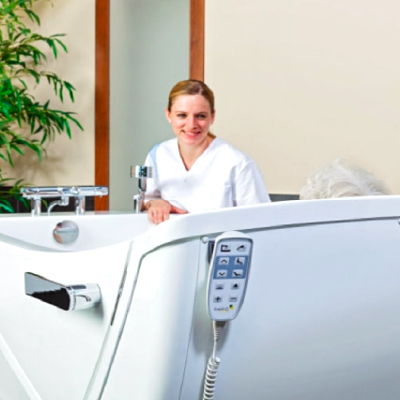 The concept of the AVERO Motion is to simplify bathing or showering, to support the mobility of the residents and to offer the possibility of a relaxing full size bath. By the large opening door on the side, it is possible for mobile or partly mobile residents to enter the tub independently. Especially still mobile residents are pleased to have an independent entry to a full bath, without the use of a helping device or the risk of slipping while getting into the tub. This increases the acceptance and reduces essentially also the expenditure of time for the transfer. The ergonomical shaped interior tub body with the special back profile enables an optimal sitting and lying position for the bathing person. 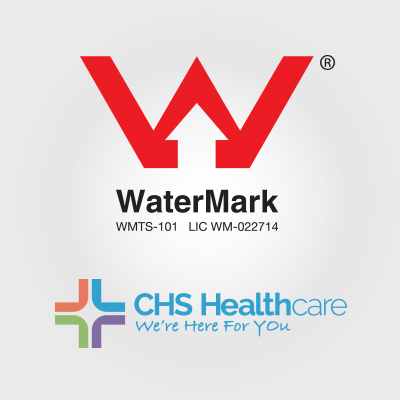 This provides highest safety and comfort for the resident. The smooth contours of the tub remind at first sight of a modern, state-of-the-art private bath tub and integrate itself perfectly to the existing wellness and bathing concept of the facility. The functions have been optimized in close cooperation with experts from the care and therapy sector and have been adapted to the experiences of the daily work. This provides a wonderful bathing experience for the patient as well as for the care staff with a maximum of safety and comfort. 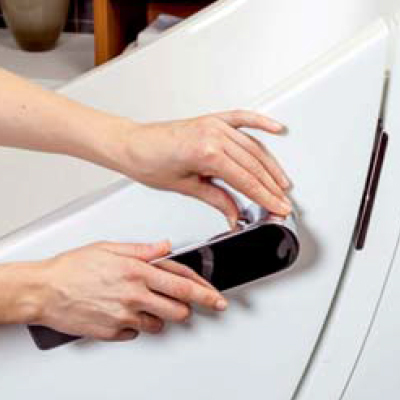 Choose the appropriate device for transferring your resident safe and comfortable into our AVERO Motion. The tub rim and the shaped seat are no barrier for the resident. 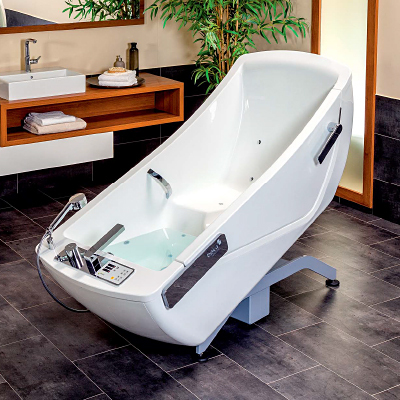 The special contour enables an optimal sliding of the resident from the wheelchair into the tub. The basic frame is freely to underpass by any transfer lift, therefore a transfer with the NORA active lift as well as with the CARLO sling lift is possible. 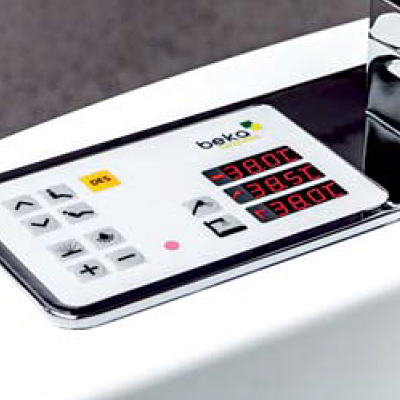 By the integrated height adjustment of the tub it is possible to lower the entrance height that much, that an independent transfer from the wheelchair is possible. For residents who require a high level of care, a transfer with a mobile sling lift as well as with a ceiling lift is possible. Wide sling bows as well as special 4-point-sling-bows, which can be adapted to mobile or ceiling lifts, can be applied with the AVERO Motion and provide a maximum of safety and comfort. 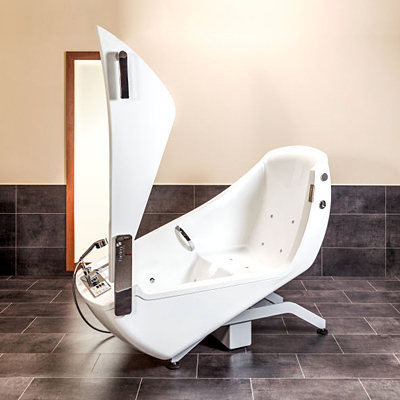 In comparison with many other bath tubs, the AVERO Motion possess considerably more space for larger patients, especially in the zone of back and shoulders. The new developed inside profile of the tub offers furthermore a large and comfortable lying area for larger as well as for smaller residents. The ergonomical inside shape and the “homey” character of the tub shape provide altogether a protecting character for the bathing person and increase thereby significantly the well being.